I finally have made a few Christmas cards! I saw the 'season' challenge at CASology and the Christmas Season came to mind straught away. I got a few Christmas cards last year using this die and loved them. I knew I had to add it to my collection. 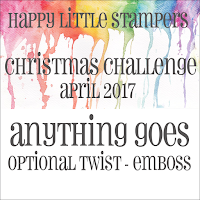 All I have done here is die cut it in sparkle fun foam and added the sentiment-a perfect one for this challenge. I made a few of these cards as they are quick and easy and my kind of CAS! Oh, that white sparkle fun foam is delightful! I love the detail of the die cut, too. Perfect simple sentiment and love the kraft card base! Thanks for joining us at CASology! What a fabulous CAS card that would be perfect for mass producing in the busy run up to Christmas. Love the sparkle fun foam which is new to me! Such a fabulous die. I can see why you 'needed it'! It makes for a perfectly CAS and easily mailed card. And, the sparkle adds a bit of fun. Thanks so much for playing along at CASology this week. I love this. This would be great to make multiples off. Elegant, CAS design. CAS perfection, Sandie! Thanks so much for playing along with us at CASology this week! 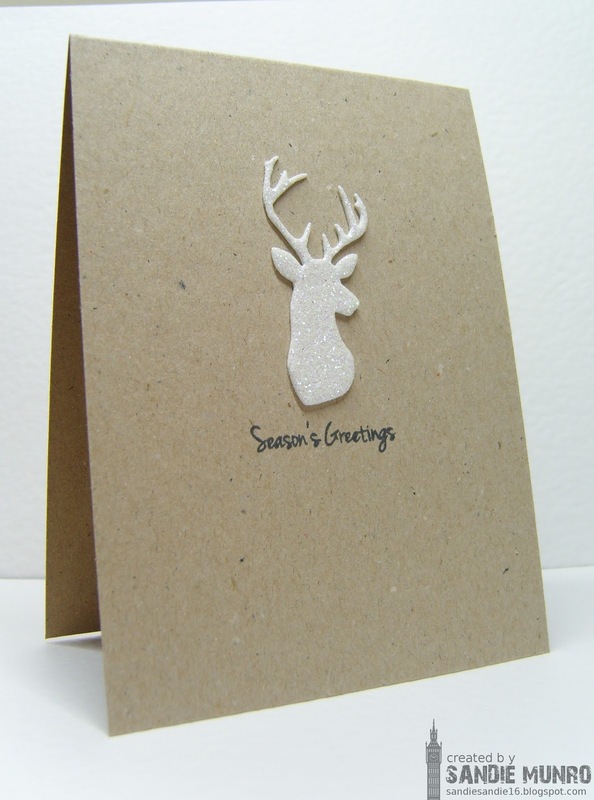 Love that glittery stag! Clean crisp perfection! Thanks for playing along with CASology this week! Yes Sandie! That is definitely my kind of CAS too! That glittery foam comes up a treat when paired with that handsome stag! Perfect! Point to you getting your Christmas stash underway. I have a long way to go...so glad you shared with us at CASology this week! 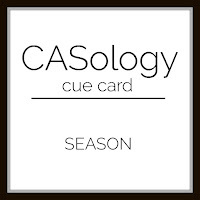 Thanks so much for joining us for our SEASON challenge over at CASology! Superb CAS card, Sandie! White glitter remind me how I miss winter :) Thank you for sharing with ATSM! Congrats, Sandie! 🎉👏🎵🎶🎉 Just saw this fab CAS card as the winning card on HLS. A brilliant winning card! Congrats!